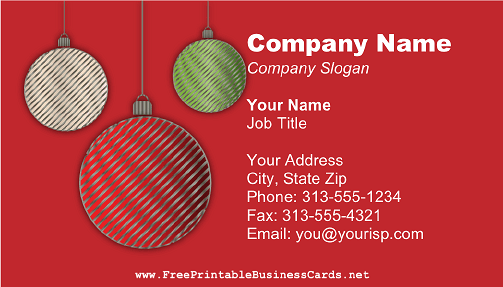 Christmas ornaments dangle on these printable business cards. Perfect for seasonal shops or ventures, or for anyone during the holiday season. Red background.